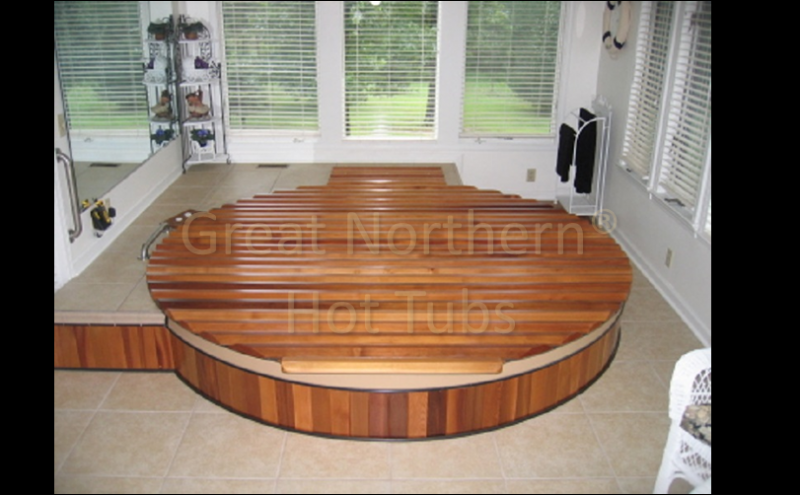 This Great Northern® Rubadub Tub® Hot Tub is 9' in diameter and 6' deep. and is customized to accommodate the medical needs of the owner. Hot water therapy has been proven to be beneficial for people with many different conditions such as arthritis, fibromyalgia, Type II diabetes, knee hip and back injuries, etc. Ask your doctor if you would benefit from water exercise. We'll help you design a system to fit your needs. Jet size and placement and adjustable-height bench seats are all customizable.